Motor museum | It isn't in any travel guide. And at tourist information they have never heard about it. And yet, in Saitama, just North of Tokyo (Japan) there is a very special car museum. 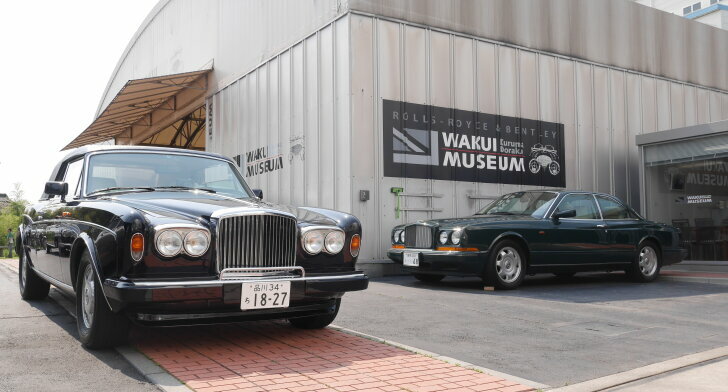 The "Wakui Museum" is dedicated to Rolls-Royce and Bentley. And... most of the collection is for sale. Time for a visit! 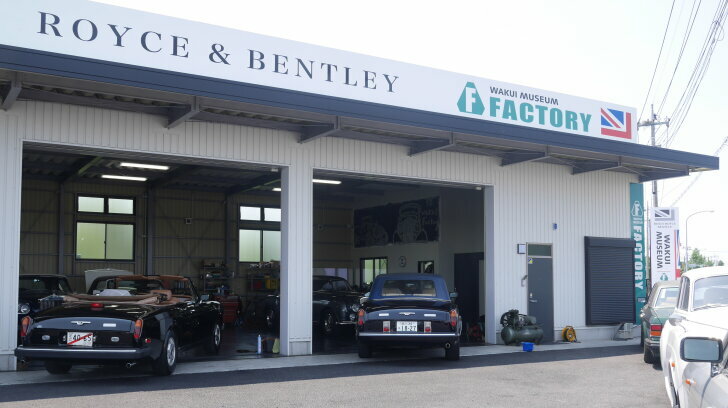 The reason why the "Wakui Museum" for Rolls-Royce and Bentley isn't a well know tourist attraction doesn't have anything to do with the quality of the collection. It does have something to do with the accessibility. While the museum is just North of Tokyo, it can't be reached by public transportation. Also, the museum's website is only in Japanese, the documentation is only in Japanese and the staff only speak Japanese. Those who do go to the trouble of travelling to the Wakui Museum will most likely be welcomed by mister Wakui himself. In 1988 he started as a Rolls-Royce and Bentley specialist in Tokyo. For the sheer love of the professional his shop slowly evolved into a museum. And that's what makes the Wakui Museum special: most of the collection is for sale! Still Wakui loves classic British cars, Rolls-Royce and Bentley in particular. Other English brands, like MG and Riley, are also tolerated. And even the odd Italian or French car finds its way into the Wakui collection. However, Japanese or American cars aren't welcome, no way, no how. Just twenty cars are part of the regular collection and they all have a special story to tell. For example, there's the original show car from the 1953 Geneva Motor Show. 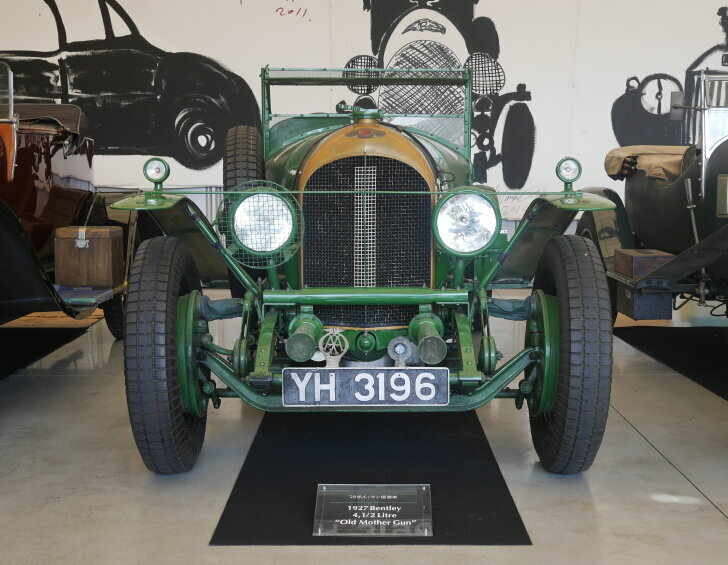 A "4 1/2 litre" Bentley from 1927 received the nickname "Old Mother Gun" because of its almost legendary reliability during several participations in the 24 hour race of Le Mans. Very special indeed is the "3 litre by Garin" Bentley from 1921 with chassis number #19, one of the oldest known Bentletys in the world. Of course, there's also a car that mainly owes its story to the owner. The "Rolls-Royce 25/30 HP Sports Saloon by Hooper" from 1937 once belonged to Prime Minister Shigeru Yoshida. Thanks to a nephew of the current Prime Minister Abe the car found its way to the museum. Behind the main building there's a small annex filled with Rolls-Royce and Bentley memorabilia. Also, politician and folk hero Jiro Shirasu (1902) is honoured here for his deeds and his great taste in automobiles. Just a 5 minute walk from the main building, the changing collection can be found. Here, Rolls-Royce and Bentley are again the most prominent brands. But even outside a Citroën and Austin-Healey could be spotted. Price tags or even signs with information about the cars are absent. However, the salesman / suppost loves to tell about the current offerings. He knows the heritage, source, details and, of course, the price of every car in case a visitor wants to take a museum piece home. The salesman personally prefers pure, mechanical "beasts" from the 1920s and 1930s. Yet, it's the young timers that are sold most frequently. In the large warehouse it's a true delight to walk through the long aisles and stumble upon true pearls of automotive history hidden behind huge Rolls-Royces. 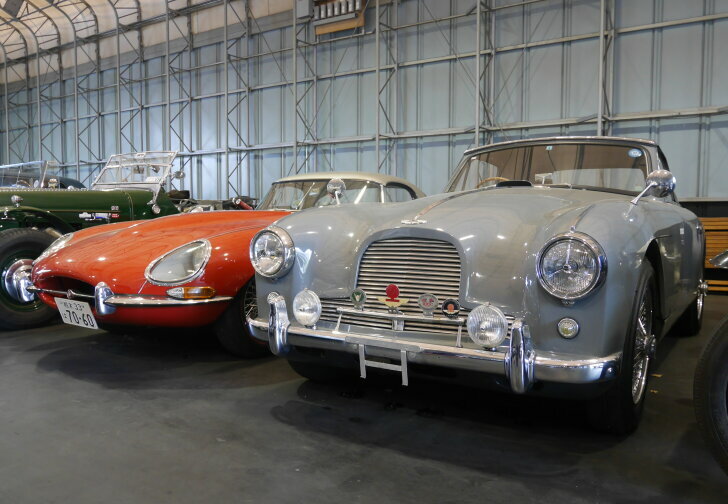 How about an original Abarth or the current star of the collection: an Aston Martin DB2? On average, five cars per month find a new owner. The same number of cars is subsequently added to the collection, which makes visitors want to come back time and time again. At the weekends, the Wakui Museum acts like a clubhouse for car fans (including a collective lunch!) and during the day the adjacent car park slowly turns into an attraction in its own right. 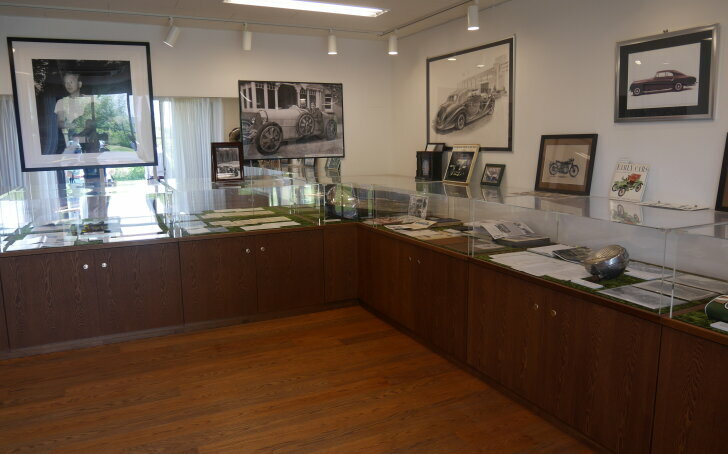 Without exception, the cars in the Wakui Museum are in showroom condition. This is thanks to the museum's own workshop (again a 5 minute walk from the previous building). Here, cars are serviced and if necessary even restored. It is not only cars owned by the museum, but also Rolls-Royces and Bentleys from others that are being serviced here. Again, everything is small and approachable. The mechanics love to tell about their work, the projects at hand and technical oddities of the cars in the collection. The mechanics share their knowledge with Rolls-Royce technicians from Hong Kong and a British trained mechanic who maintains the Rolls-Royces from high class hotels in Tokyo. No question is too hard and... when possible the answers come with a demonstration! 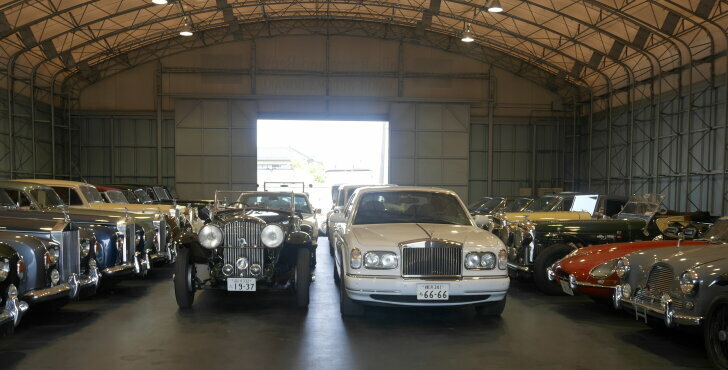 The "Wakui Museum" for Rolls-Royce and Bentley near Tokyo is hardly known by tourists. That's because Europeans who want to see English cars go to England and not Japan. Also: the staff only speak Japanese. That's why the Wakui Museum isn't worth a trip to Japan. Because it's hard to reach by public transportation, the museum isn't even worth the trouble when coming from Tokyo. 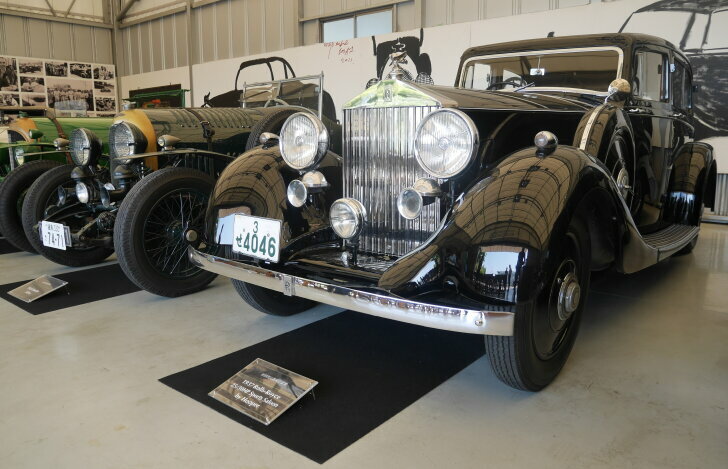 However, true fans of British motorcars, Rolls-Royce and Bentley in particular, will meet some truly remarkable cars in the Wakui Museum. On top of that, the small scale and the unique Japanese view on British heritance make a visit to the Wakui Museum a special experience.